This entry was posted in Vacuum Tubes and tagged 6sn7/ECC32, TJ Full Music by tubemaze. Bookmark the permalink. I started using this tube and it sounded very bright, but manufacturer required 100 hours of burn in time before the tube opens up fully. So there it went for 24 hours into my burning machine. After that, I put the tube back in and things improved significantly. Things smoothed out, sharpness went away and the soundstage opened up. After that I continued burning in tubes while in the amp. This tube has a very characteristic Full Music sound – 3D sound stage, very strong and tight bass, and extended, airy highs. And as it with FM tubes, if the system is already very bright, it will not work well – brightness and air will be just too much. The best application of this tube was in Single Ended amps in Triode mode. The tube brought out details and added transparency to music that was just fantastic. I wanted to remove the tubes. but for some reason kept listening to it – music was very natural with the tubes. 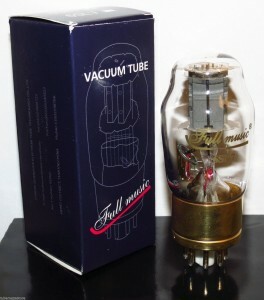 All in all, in the right equipment, the tube would be truly fantastic – a pleasure to know that this is coming from a new production tube and from China of all places! After using and selling these tubes for a while, practically all of them failed in one year – so a warning to all of you – STAY AWAY FROM THE TUBES. They sound great, but you will be looking for a replacement within a year. Quite a few of them didn’t even last 1 month.